Enfield shul were sold out for their three course ShabbatUK communal lunch, with organisers saying they could have sold many more tickets. Everyone enjoyed the traditional meal and the Rabbi’s Q & A, which allowed them to extend their traditional Shabbat experience after the Shacharit service and stay in shul for longer. The sociable day concluded with a communal Havdalah. “We were sold out – our hall can accommodate on 35 at a sit down affair and we could have sold many more tickets. The function brought the community together in a most convivial manner and all attending remarked on the lovely atmosphere. 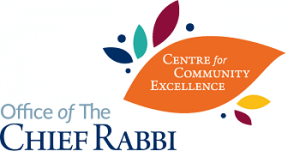 The Rabbi’s Q & A session was particularly enjoyed and some members experienced Havdalah for the first time”.